Felix Cavaliere (born 29 November 1944, Pelham, New York) is a music producer and musician, having performed in The Young Rascals group during the 1960s. He later produced albums by a variety of artists, including Laura Nyro's 1970 opus, Christmas and the Beads of Sweat, and Jimmie Spheeris' 1973 album The Original Tap Dancing Kid. Cavaliere had a solo hit in 1980, "Only A Lonely Heart Sees". In 1982, he and former Rascals bandmate Dino Danelli, joined Steve Van Zandt in the group Little Steven and the Disciples of Soul, on the group's Men Without Women album. 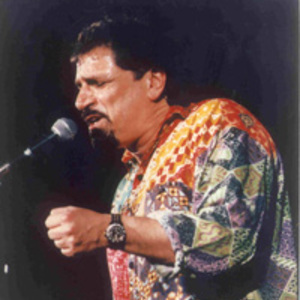 Cavaliere was a touring member of Ringo Starr's third All-Starr Band, and performed with them during their tour in 1995. He also inducted the band Vanilla Fudge into the Long Island Music Hall of Fame. He continues touring as "Felix Caviliere's Rascals"
Felix has recently (July 2008) released a new CD with former Booker T. & The MGs' guitarist Steve Cropper called "Nudge It Up A Notch."